Those are the words of author Whitney Scharer on Lee Miller, the protagonist in Scharer’s debut and much-buzzed-about novel, The Age of Light. Literary New England’s Cindy Wolfe Boynton interviewed Scharer yesterday, just hours before she flew from her Massachusetts home to the United Kingdom for several book events. Scharer will be back in the U.S. by early March for a cross-country book tour, including several stops in New England. 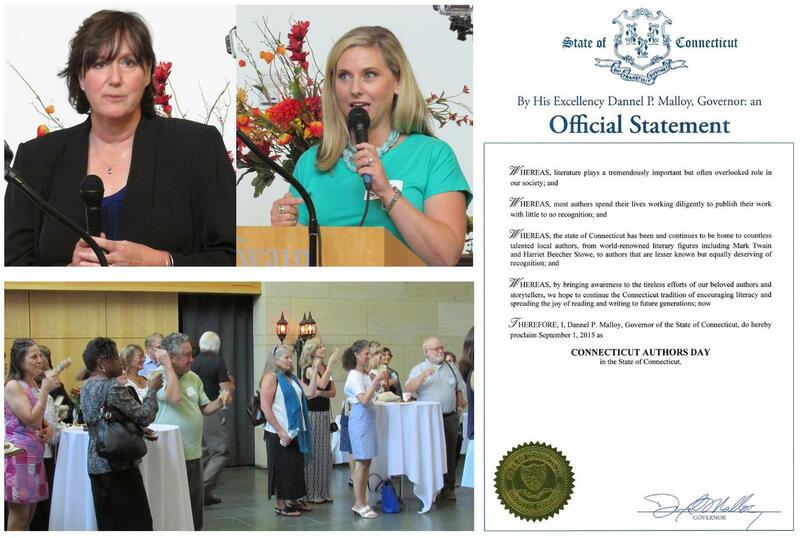 I prepared to go see the first fully-staged Connecticut production of “These Shining Lives” by reading The Radium Girls: The Dark Story of America’s Shining Women by British author Kate Moore. Moore, also an actress, said she was inspired to write The Radium Girls while directing two London performances of “These Shining Lives,” which I saw earlier this month at the Milford Arts Council in Connecticut. From the Milford (Connecticut) Arts Council performance of These Shining Lives, which runs through Sunday, Feb. 17. 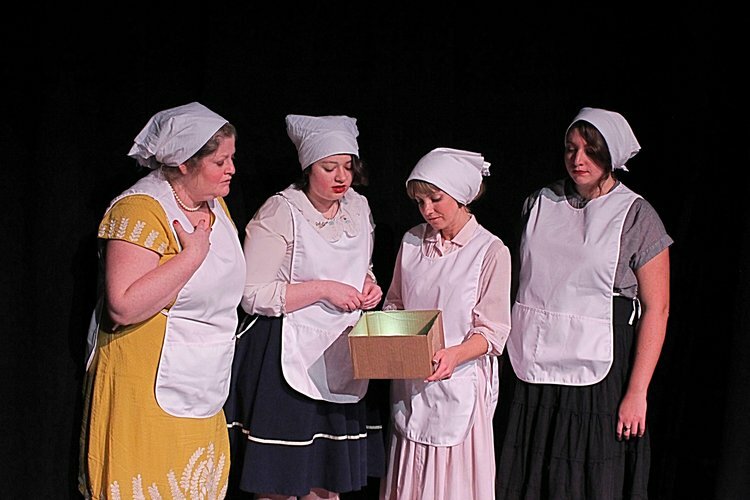 Written by award-winning American television writer and playwright Melanie Marnich, “These Shining Lives” tells the true story of four of Ottawa, Illinois, women who suffered the painful and deadly effects of radium exposure while painting glow-in-the-dark numbers on watches and clocks in the early 1900s. It’s narrated by a young woman named Catherine Donohue, who like all the female workers painting dials at clock factories in Illinois, New Jersey and Connecticut was told to use her lips to create a fine point at the end of her brush before dipping it in to the luminous green paint. Lip, dip, paint. Lip, dip, paint. Lip, dip, paint. 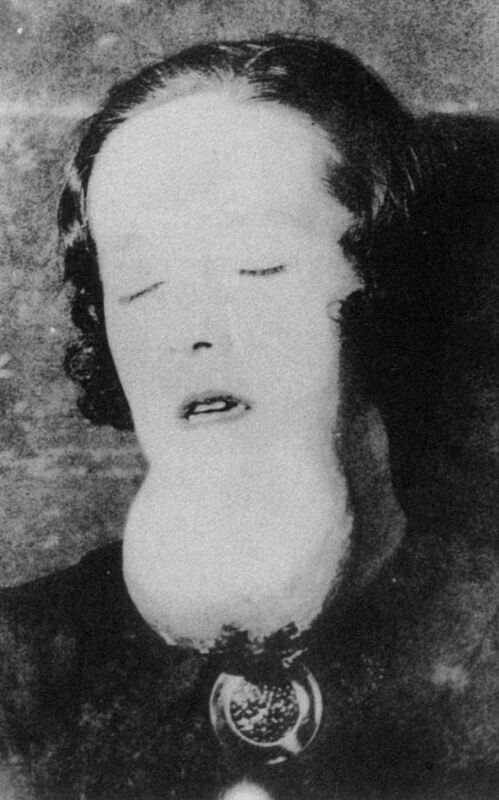 Many of the radium girls suffered from large, grotesque tumors on their jaws. Eventually, their jawbones crumbled away. From roughly 1917 to 1940, this was the song of sometimes thousands of nicknamed “radium girls”—most of them in their 20s—who lipped and dipped each time they painted a number, 1 through 12, on up to 150 watch faces a day. 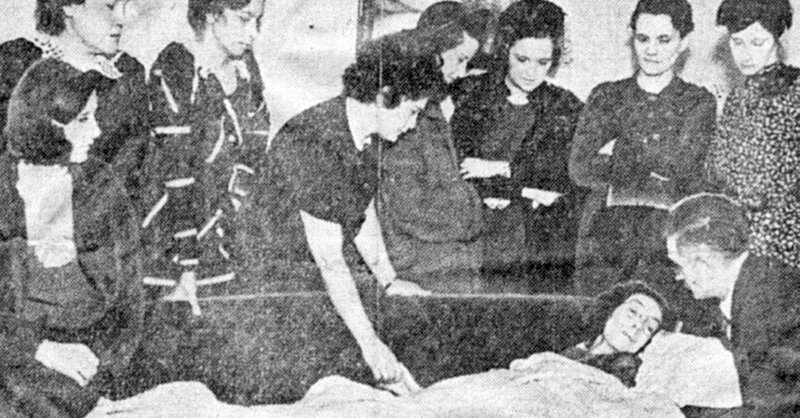 The women became irradiated from within, leading to broken bones, grapefruit-sized tumors, their teeth falling out, jaws breaking, immovable arms and legs, and spines collapsing. Many reported rolling over at night, catching a glimpse of themselves in their bedroom mirrors, and seeing—with horror—that their bodies glowed in the dark. Lyrically written, “Shining Lives” uses the stories of Catherine and co-workers Francis O’Connell, Charlotte Purcell and Pearl Payne to show not just the excruciating pain and disfigurement that countless radium girls like them suffered, but also the endless courage, tenacity and resilience they displayed as they fought for recompense, justice, and the establishment of new protections for future dial workers. At the performance I attended, audience members laughed, disbelieving, when the company doctor blamed stress for the cause of Catherine’s lost teeth and debilitating leg pain. They then gasped when she was fired for becoming too sick to work. Charlotte Purcell, whose left arm was amputated because of the effects of radium poisoning. Her story is featured in both “These Shining Lives” and The Radium Girls: The Dark Story Of America’s Shining Women. The play skillfully uses both humor and horror to connect with its audience. But as powerful as it is, there are limits to the depth of story that a stage can tell. From page 1 of The Radium Girls, Moore uses unapologetic, no-nonsense and often gruesome prose to vividly show the extent that working with radium, and being lied to about its dangers, affected not just the women, but their families, the baffled doctors who did their best to care for them, and the legal experts who fought for the justice they deserved. Too sick to travel to the courthouse hearing her case, radium girl Catherine Donohue literally gave evidence from her deathbed. “Wolfe” was Catherine’s maiden name and is mine, which is one of the things that made me want to know her story. 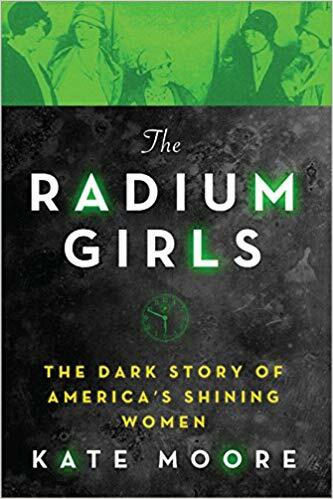 Part of my wanting to read Moore’s book, and see Marnich’s play, was to learn about the radium girls who worked in New England at the Waterbury Clock Factory. 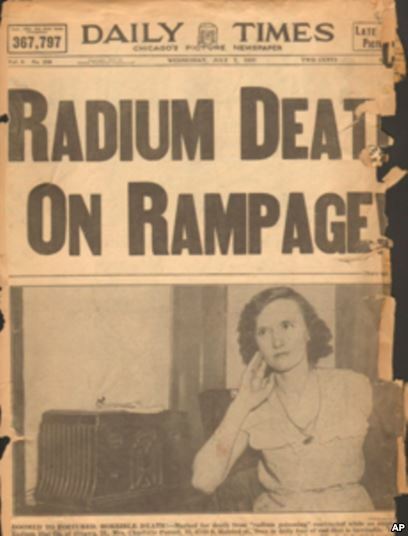 I had heard a little about Frances Splettstocher, the first Connecticut woman to die from working there with radium. She was followed by Mildred Cardow and Mary Damulis. All were in their early 20s. Between 1926 and 1936, the Waterbury Clock Company issued more than $90,000 in medical settlements to radium girls. Yet Waterbury was barely mentioned by Marnich, and only tangentially referred to by Moore. A little research led me to a 2002 Waterbury Observer article that perhaps explains why. 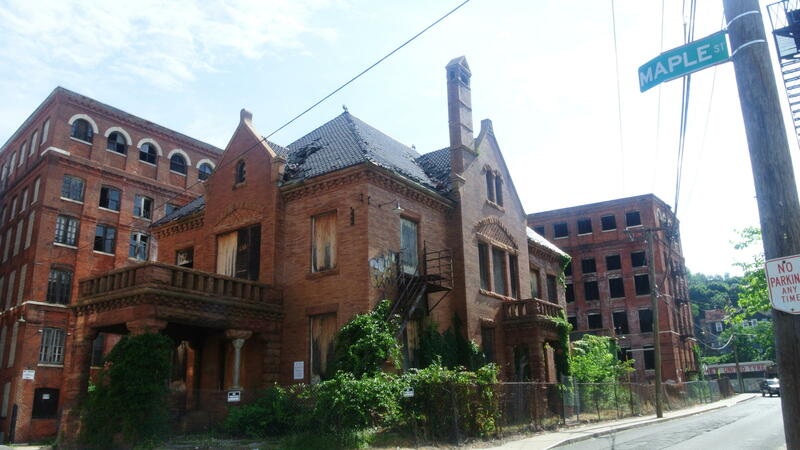 While the New Jersey and Illinois dial painters received extensive media coverage—the impact of which Moore deftly shows—no news articles were ever written about the Waterbury women. Their cases were all settled privately, out of court, with no reports made to state or federal agencies. The old Waterbury Clock Factory in Connecticut—the only New England location where radium girls worked. Unlike the radium girls in Illinois and New Jersey, the Waterbury dial painters had no champions. As Moore explains, the radium girls’ cases that went public played a significant role in the establishment of new, strict federal occupational health and safety guidelines for those working with radium and other hazardous materials. They also led to Congress passing a law to give workers the right to receive compensation for occupational illnesses. Click here to listen to a fascinating Connecticut Public Radio interview with Moore and other guests, including a relative of Mae Keane, the last living radium girl from Waterbury, Connecticut, who passed away at 107 years old in 2014. Despite working as a dial painter for just a few months, she lost all of her teeth by the time she was 30 and battled cancer several times during her life. Yet the blatant lies these women were told; the bosses who stayed silent despite what they knew—unacceptable. Shameful. And in many ways, as viscerally painful as what these women went through. I’m nauseous as I think about it and type these words. Moore’s The Radium Girls is a must-read not just for those interested in history, but for those who believe in equal rights and justice. Yes, this past century has seen advancements in gender, workplace, healthcare and economic rights. But so many more are needed. There are also too many similarities between the battles Catherine Donohue and other radium girls fought with those still going on today. Eager to learn more about how women’s anger about injustices have led to needed change, I’ve put Rebecca Traister’s Good and Mad: The Revolutionary Power of Women’s Anger at the top of my #TBR nonfiction pile. I saw Traister interviewed by Fareed Zakaria this past Sunday morning on CNN, and her insights and expertise grabbed me. 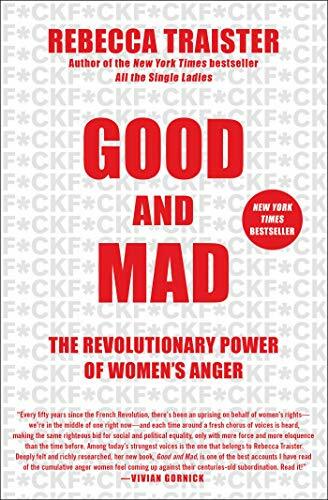 Published last year, Good and Mad examines the contemporary and historical impact of women’s anger on American society. According to the book description, Traister shows that while women’s fury over injustices has long been repressed and dismissed, it has also been one of the most powerful forces in U.S. politics and culture. As an often-angry feminist who has been told that I’m crazy, irrational, and wasting my time, I can’t wait to crack the cover. 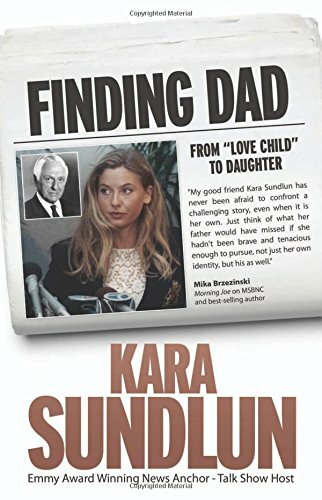 I DON’T USUALLY WRITE ABOUT BOOKS UNTIL I’ve finished reading them. But I’m too excited. A few days ago, I discovered that my current literary BFF Diana Bishop is right now in New Haven, Connecticut, just 15 minutes from my house. I’m half-way through The Book of Life, the third and final installment of Deborah Harkness’s All Souls Trilogy. And I’m loving it. 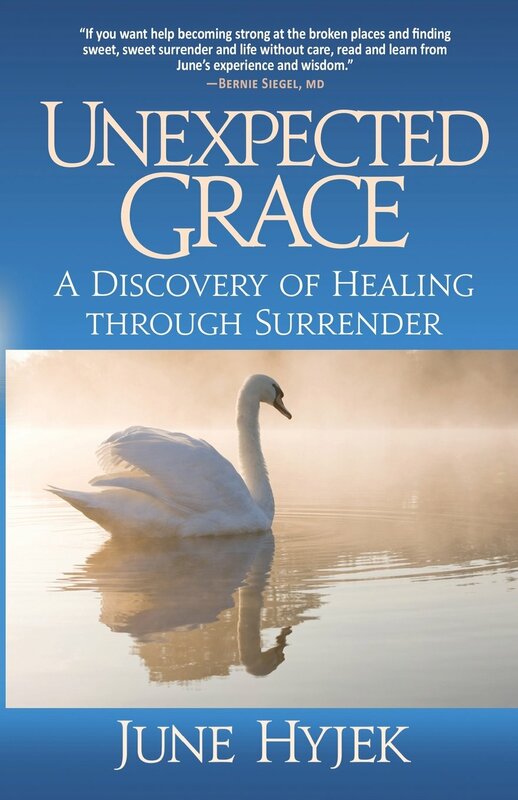 The writing is crisp; the story engaging; and Diana is a compelling, likeable, and authentic protagonist—intelligent, stubborn, determined, vulnerable. Yet while I’ve known from the start of the series that Diana, a witch, is also a history professor at New Haven’s Yale University, there was never any hint she or the story would go there. The first two books in the series, A Discover of Witches and Shadow of Night, take the reader to London, France, Venice, and Prague of today and 1591 as Diana and her vampire husband Matthew search for the missing pages of an ancient and mystical manuscript. The book is known both as Ashmole 782 and the Book of Life, and it’s believed to hold the key to the origins of vampires, witches, and daemons—knowledge that some vampires and witches are willing to kill for. The Book of Life starts with Diana, Matthew and their extended witch-vampire families at Matthew’s towered, 11th century castle Sept-Tours in France. Hunted by the Congregation of vampires, witches, and daemons that believes bloodlines must remain pure, and has outlawed supernatural beings from cross-breeding, a pregnant Diana and Matthew escape to the haunted, upstate New York house Diana grew up in. Aided by Matthew, her witch Aunt Sarah, her vampire nephew Gallowglass, and other family and friends, Diana works to hone her emerging magical powers. Talk of travel revolves around Diana and Matthew going back to England for the birth of their twins. But then Diana’s best friend, scientist and fellow Yale professor Chris Roberts arrives. I won’t spoil how or why Diana and Matthew decided to go to New Haven. Unlike the first two books in the series, which were slower paced and sprawling, Life is as action-packed and urgent as the tasks Diana and Matthew must complete before death, or any other form of irreparable tragedy, strikes them or someone they love. Sitting in the New Haven Lawn Club myself, eating lunch at a table probably not too far from where Diana sat, I’ve heard the same thump of tennis balls, and splash of arms, that can float in to the club dining room. Continuing to read Life over the past few nights, I’ve also discovered more ways that my and Diana’s New Haven have overlapped. Matthew scanned the horizon, unable to stop searching for new threats. Then his attention turned skyward. “That’s because it’s Mabon,” Diana said quietly. Reading Life, I know exactly where the Yale Center for Genome Analysis they work in is located; am sure I’ve walked past the tall, “red door with the white trim and the black pediment” that opens into Diana’s Court Street apartment; and have parked my car near Gallowglass’s condo inside a converted Catholic church on Green Street. I realize that Diana is a fictional character and only literarily, rather than literally, in New Haven. But when you’re a bibliomaniac like me, an emotional connection to a literary character can feel as real as one to a real person. I’m one of those people who likes to take literary pilgrimages to places described in a book; to places where I can breathe the same air as the character or author I’ve fallen in love with; to places that inspired favorite writers, so that I can feel that inspiration, too. It makes the reading experience richer. And it makes me feel that much more connected to my understanding of the world and myself. Doing a quick Google search before writing this post, I found a terrific website called The Tenth Knot, which features articles by Deborah Harkness superfans who have followed Diana’s and Matthew’s footsteps around the world. Among them are two posts that provide addresses, book quotes and other details about all the New Haven cites included in The Book of Life. They’re listed as New Haven, Part 1 and New Haven, Part 2. And for anyone looking to take an All Souls New England pilgrimage, they provide all the information you’ll need. When The Book of Life was published in 2014, I interviewed Deborah Harkness for the Literary New England Radio Show. A graduate of Mount Holyoke College in Massachusetts, Deborah told me her New England roots go back to ancestors who traveled here from England and Scotland in the 1600 and 1700s to settled just outside of Boston and in Western Massachusetts. Like all the books I read, I’ll rate The Book of Life on Goodreads once I’ve finished it. In the meantime, if you’re a history-romance-fantasy fan, don’t hesitate to add the All Souls Trilogy to your #TBR list. And if you decided to take an All Souls literary trip to New Haven or other location, definitely let me know! The Fitzgeralds in front of their Westport house. 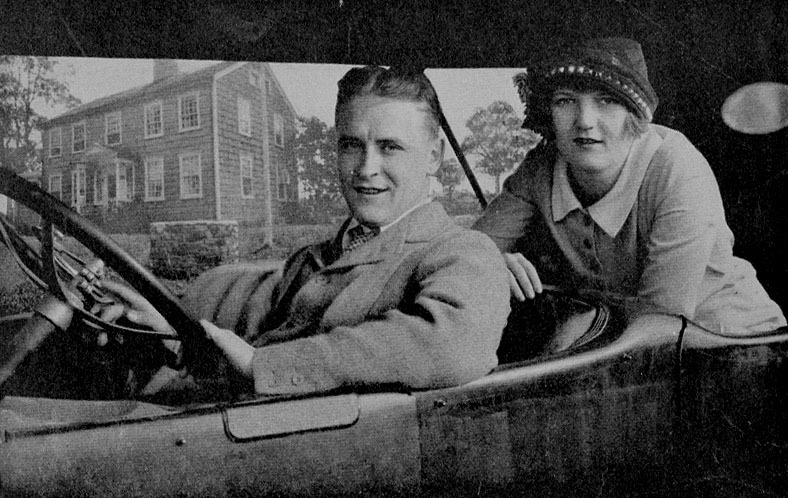 For six months in 1920, F. Scott Fitzgerald and his wife Zelda lived in a rented house at 244 Compo Road South in Westport, Conn., as he wrote his second novel, The Beautiful and Damned. The house is now a private home. What the “Wakeman Cottage” the Fitzgeralds rented looks like today. 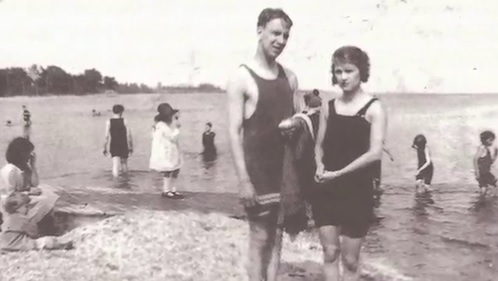 Fitzgerald was 23 at the time, fresh off the success of his debut novel, This Side of Paradise. He and Zelda were newlyweds and known–not always in a good way–for their love of liquor and parties. The gray house had been there when women who kept cats were probably witches. … Since those days the house had been bolstered up in a feeble corner, considerably repartitioned and newly plastered inside, amplified by kitchen and added to by a side-porch but, save for where some jovial oaf had roofed the new kitchen with red tin, Colonial it defiantly remained. Some believe Westport also was the actual inspiration for The Great Gatsby, rather than parts of Long Island. Articles in the WestportNow and The New York Times’ Connecticut section explore this possibility, plus include quotes from those who remember the Fitzgeralds during their time in Connecticut. 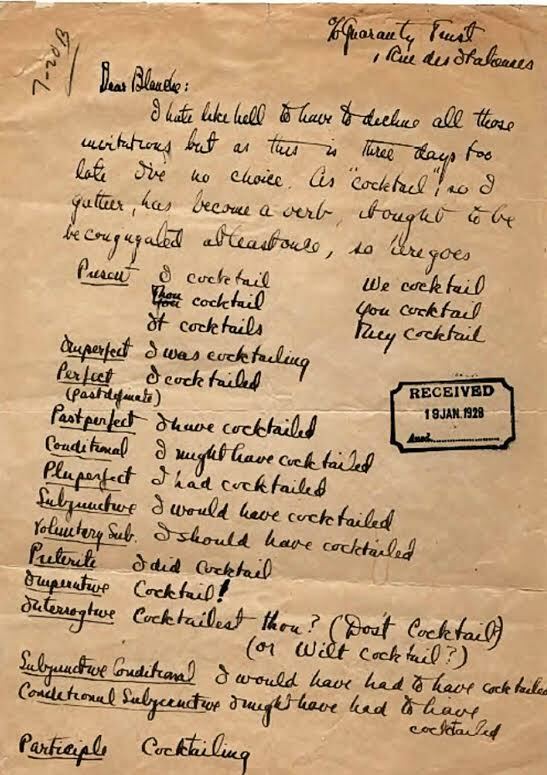 But if gin is still on your mind, hold off on the Gatsby exploration until after you spend a few minutes enjoying this great Open Culture post about Fitzgerald conjugating the verb “to cocktail.” You may want to have a gin rickey in hand. Anchor Beach and Charles Island: two locations on Long Island Sound in Milford, Conn. 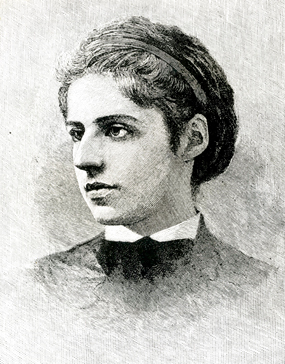 If I was able to get my act together this morning (which I was not), I would have made copies of “Long Island Sound” by New York writer Emma Lazarus (1849-1887) and properly celebrated “Poem in Your Pocket Day” by sharing it at all the places I went. But alas, this did not happen. And the day is now almost over, even though it feels like it’s just begun! So I’ll pretend this blog is my pocket, and that we’re meeting somewhere along Long Island Sound. My house on a hill in Connecticut looks out over the Sound, which technically is a 21-mile tidal estuary of the Atlantic Ocean, located between the southern Connecticut and northern Long Island, NY, shores. I’ve been lucky enough to live near it my whole life. Scissors, please. These Spinster-inspired paper dolls are a must! What’s very possibly one of the best things, in my whole life, that I’ve ever stumbled across? These super-awesome literary spinster paper dolls, which were created to go along with the release of journalist Kate Bolick‘s memoir Spinster: Making a Life of One’s Own. Social visionary Charlotte Perkins Gilman, author of the must-read “The Yellow Wallpaper,” who was born in Hartford, Conn.
Irish writer and essayist Maeve Brennan is also featured. Download printable versions of the paper dolls here, which are part of a “Spinster Kit” that also includes recipes for each of these writers’ favorite cocktails, a list of their works you should read, and a Spinster discussion guide. In Spinster, which grew out a 2011 cover story Bolick wrote for the Atlantic, Bolick explores not just modern notions of romance, family, career and success, but why she, and more than 100 million other American women, remains unmarried. She uses her personal experiences as a starting point to delve into the history of the idea of spinsterhood, examine her own intellectual and sexual coming of age, and discover why so many fear the life she has come to relish. Neith Boyce, Maeve Brennan, Charlotte Perkins Gilman, Edna St. Vincent Millay and Edith Wharton each helped shape Bolick, influencing both her personal and career choices and, ultimately, this book. Kate Bolick will be one of my guests on the May 11, 2015 Literary New England Radio Show. 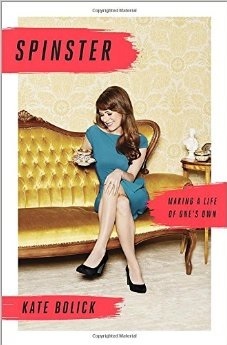 We’ll also be giving away copies of Spinster, so save the date! You may also want to mark Friday, May 15, on your calendar. From 5-7 pm, Bolick will be at Edith Wharton’s home The Mount in Lenox, Mass, to give a free reading and signing. Entitled “Kate Bolick’s Awakening at The Mount: A Reading and Reception to Celebrate Spinster: Making a Life of One’s Own,” the event will feature hors d’oeuvres, cocktails and, says The Mount website, “conversation about what it means to live independently.” Bolick will also read from Spinster and then sign copies. If you go, please send photos! I’m so incredibly bummed not to be able to attend.